Tag / chimps are people too! 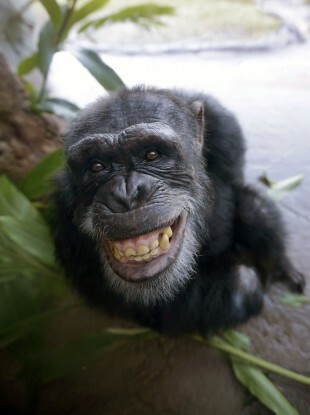 biology 101, biology matters, chimpocentrism!, chimps are people too!, different peoples is different (duh! ), england, english, europe, europeans, finns, general theory of the west, mating patterns matter, nationalism, outbreeding, relatedness matters, swedes, the fennoman movement, universalism, what's this hbd business all about anyway? i don’t think that’s weird at all, because i bet that swedes have a longer history of outbreeding than ethnic finns, and, with more and more outbreeding, a group’s “circle of inclusiveness” widens (i think). i’m not 100% certain that the swedes have a longer history of outbreeding than ethnic finns, but i’m betting that they do based on the fact that the finns are outside the hajnal line and the swedes are not, and the general pattern seems to be that those populations that are inside the hajnal line are long-term outbreeders, while the rest are just not. another example resembling the swedish-finnish one is the irish nationalist movement of the 1700-1800s which was heavily influenced by the more outbred anglo-irish. so there we have it yet again — as in so many other aspects (the decline of internal violence, for instance), it is the earliest outbreeders in europe that are the “older nations”, whereas the later nation states, like italy, are inbreeders. unfortunately (for me and my theory), germany doesn’t really fit this picture, unless we try to imagine the holy roman empire as a naiton state?…no, that won’t work…always causing trouble the germans. i still think it’s significant, though, that the earliest european nations were some of my “core”, outbreeding europeans and not any of the peripheral groups. this is also directly related to my point about outbreeding and nationalism — yes, the early modern venetians were a nation, but the reason their nation was so small/narrow compared to england or france was because the italians had a longer history of inbreeding than the english or french. the nation was just venice and not “northern italy” or something larger, because the northern italians’ “circle of inclusiveness” was not as broad as that of the english or french (because the italians were not as outbred). yes. this is now on my To Do List — find out more about the evolution of national sentiments/consciousness around europe (and the rest of the world) as well as nationalistic movements. the two are obviously related, but not exactly the same thing. it would be very interesting to know which populations were the earliest at feeling like a nation — especially feeling like a big nation, like “french”. the historian patrick wormald has argued that the english viewed themselves as “english” already at the time the venerable bede (d.735) was writing his famous history (see, for example, chapter five in The Making of English National Identity). that would be truly incredible if it’s true! presumably the “english” at that time would’ve been just the anglos and not any of the enslaved britons. also, hard to know if it was only the intelligensia, like bede, who held this view, or also the anglo-saxon man on the street. again, this seems incredibly early for ideas of a nation to be floating about, but perhaps it’s true. still, hard to know if the english people also felt this, or if it was mostly chroniclers and kings and princes.